Young entrepreneurs entering the business domain have high expectations of becoming millionaires in a short time span. However, this may not be possible in any business scenario, whether it is independent or franchised. Any new entrepreneur has to firstly reach the break-even and then can think of making profits in his venture. Break-even period is the phase between starting a new venture until the businessman gets returns on his initial investment. Similarly in franchising arena, a franchisee also has to undergo this journey which can be tiresome and difficult. This period is a crucial time for a franchisee to maintain his momentum and keep him motivated. Every franchisee aspires to reach the break-even period as soon as possible. However there are a number of situations in which a franchisee tends to get demoralised during this time frame. These can be high initial investment, low sales initially, high debts and regular royalties etc. A break-even period can range from six months to two years or even more, depending on the franchisor’s policy and the kind of franchise taken. Higher the cost of franchise, more will be the time taken to reach its break-even. It also depends to a large extent on the market and product/services being offered by the franchisees. If the market has need of that product/ service, the franchisee may be able to reach the break-even in a shorter time also. Low Initial Expectation: It is important to dream big but it should also be remembered that dreams take time to turn into reality. Most of the franchisees in their urgency to succeed may set unachievable goals. It is always advisable for new franchisees to set small targets. Having low expectations from the franchise initially can be the key to happiness and long-lasting success. Innovating the Franchise Business: It is true that a franchise should be run according to the franchisor’s methods. But a franchisee can always discuss with the franchisor and start unique and innovative techniques of marketing his products/services. This can lead to quicker sales and can ultimately lead to reaching break-even sooner. Safeguarding from Frustrations: Franchisees who have lot of personal responsibilities but have invested all their money in the franchise can face a lot of frustrations and stress. Therefore it is always advisable to keep sufficient money for personal use. Taking high loans from banks which cannot be returned on time can also lead to despondence among franchisees. Sensible franchisees always take loans that can be repaid easily. Keeping Priorities in Mind: Every entrepreneur enters the arena with different goals and priorities in his business. Some just want money while others may prefer the power or freedom in having a franchise. However there are also entrepreneurs who have the passion for doing business. Franchisees need to analsye their expectations from owning and running a franchise. Keeping Time for Entertainment: When a franchise business is slacking, many struggling franchisees bury themselves in their work to get better results. This may not be the idle remedy for such a situation. Franchisees, like any other person also need entertainment and some free time for relaxation. Taking regular breaks help in rejuvenating oneself and keeping abreast with the latest technologies. This can make the break-even period happier. Keeping Spirits Up: To end with, we can say that positive thoughts always attracts happiness. Franchisees who remain tensed and unhappy with the performance of their franchises may never achieve success. It is recommended to always think positive and work harder to bring in good results. The journey through the break–even period is undoubtedly challenging and requires a lot of perseverance. Franchisees that see failure initially may lose interest and retreat their footsteps. It has to be kept in mind at such cumbersome situations that every entrepreneur faces their share of hardships and need to have faith and the determination to succeed. 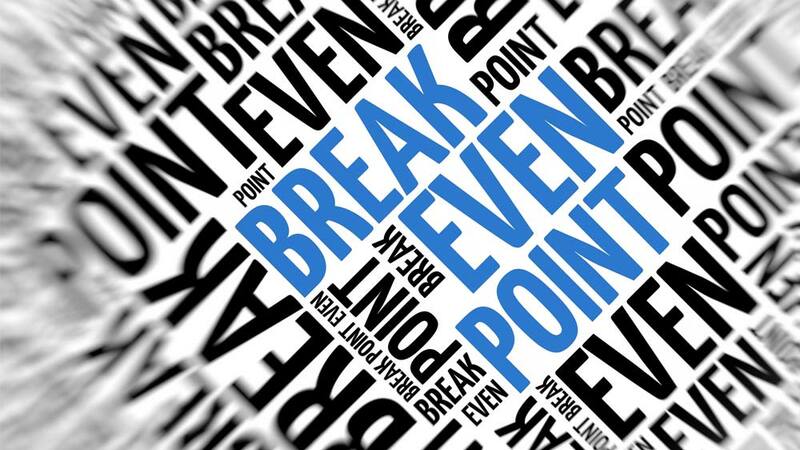 Break-even period may be tough but can be easily crossed keeping the above guidelines in mind.